Wether Hollywood, Brodway or television – show stairs are a key element of stage productions. Get the gamor of Hollywood home in your business with a LED video-stairway mady by ACT. With a led video-stairway from ACT a essential element of interior will come to a visual highlight! It´s amazing, in high resolution you can show there pictures, videos, animations, of course also a text message. The content on the led stairway can be changed fast and easy as the sign is working like a flat videoscreen. The video-staircase will be connected via CAT5 cable with the DVI-interface of your player-pc, that´s all. Everything what you can show on your pc-monitor you can then also show on the led-video stairway! 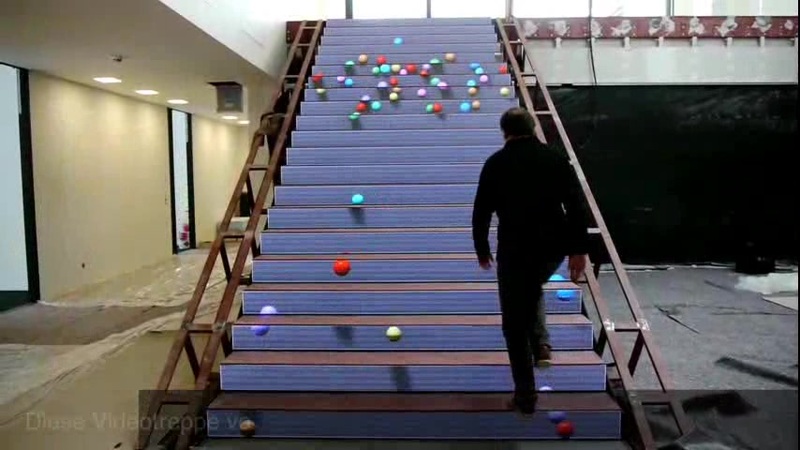 Tip: If anyone will visit you who is not head for heights, do not let the person climb the stairs during billiard balls rolling down or waterfalls will be shown.